On a fateful trip to Bakersfield, he spotted a black Doberman off to the side of the road in the Angeles National Forest. It was the dog from his dream! Realizing the magnificent creature had been abandoned, Leo performed his first rescue, not yet fully aware how this action would affect his life for many years to come. He named the dog Delta, which means change, and change is what he brought to Leo Grillo. Later that year, on one of their many hikes in the forest, Leo and Delta found 35 dogs starving in the wilderness outside of Los Angeles. Leo was so shaken by the sight that he drove back to the city and bought four large fifty pound bags of dog food. He took them back to the forest and spread them on the ground, whistled for the dogs and then watched them munch loudly, all the while smiling at Leo and thanking him. Without food or shelter, their lives depended on his daily feeding. Leo even learned to medicate these dogs in the field when they inevitably contracted distemper. 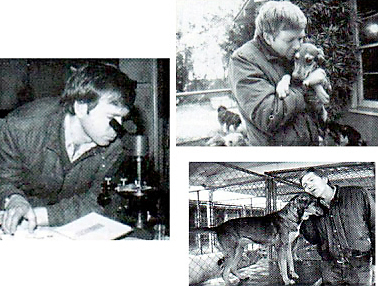 Preaching a “No-Kill” sheltering philosophy which fell on deaf ears, was often criticized, being told it could never be done, Leo continued his work through 1981, finding good homes for a few of the dogs but keeping many. As history proves, he was correct, it can be done. He continues to this day to push for a no-kill nation. Besides the animals he had in leased kennels, by 1983 Leo was feeding over 150 dogs in the forest, not to mention 29 dogs and 12 cats in his house. Clearly he needed his own shelter. In October after the Glendale Humane Society cited him for having too many animals, there was a story in the newspaper about the case. Sympathetic readers sent $20,000 which Leo managed to use as a down payment on a 50 yr old kennel he purchased in El Monte CA. He cleaned up the shelter all by himself and this humble shelter became home to 250 rescued dogs and cats. During 1984 word of Leo’s unique work and no-kill philosophy spreads through Hollywood and stars such as Loretta Swit, Cleveland Amory, Dee Wallace Stone, Earl Holliman, Bernie Kopell, David Horowitz and George Putnam rally behind Leo and his work. Over the years other animal loving stars such as Betty White became staunch D.E.L.T.A. Rescue supporters. Rue McClanahan a lifelong supporter of D.E.L.T.A. Rescue, first met Leo when they were at Summer stock, and together they rescued and found homes for an abandoned cat and her kittens. Dedication and Everlasting Love to Animals had acquired a national reputation by bringing to the forefront the plight of abandoned animals. In 1985 Leo acquired a ranch in Acton, California to house 60 rescued feral cats as well as rescued livestock, horses and burros. Then, 1986 the first 23 acres of the animal “Super Sanctuary” were acquired. Immediately, the 2,500 square foot home was converted into a 5,000 square foot indoor/outdoor cattery. Leo built the first of many spacious dog yards with insulated clubhouses and wading pools for the rescued dogs. 1988 was a very eventful year. With the blessings from the state of California, Leo Grillo rescued over 120 cats from a popular seaside resort and ended a 25 year abandonment problem there. 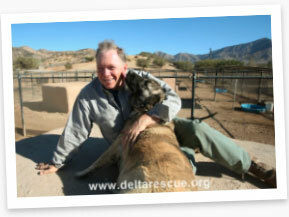 He also founded Horse Rescue of America as a non profit organization to rescue horses and burros. That same year Leo helped invent a model animal hemodialysis center at UC Davis Veterinary Medical Center and supported the creation of a clinical fellowship in renal medicine and hemodialysis. In 1991 a new state of the art 2,500 square foot veterinary hospital was built at the Super Sanctuary for only D.E.L.T.A. Rescue Animals. And then in 1993 D.E.L.T.A. Rescue acquires 66 acres of land making it the largest No-Kill Care-For-Life Animal Sanctuary in the world. That same year “Dog Town”, a prototype of the shelter of the future was created complete with in-ground heated and cooled dog houses and large yards. A second veterinary hospital building was constructed in 1994 to relieve overcrowding in the first. D.E.L.T.A. Rescue hospitals are fully operative to provide care for life medical treatments with both dog and cat ICU units, surgical suites, diagnostic lab and x-ray equipment. 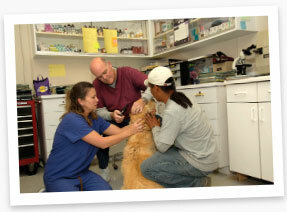 A completely trained veterinary team treats everything from daily care to chronic illnesses, diseases and disorders. When the Northridge Earthquake hits southern California in 1994, Leo Grillo steps in at the West Valley Animal Shelter located in the center of the Earthquake zone. Leo brought in the D.E.L.T.A. Rescue Veterinary staff and for one month the city agreed to make the shelter no-kill. Leo received a citation from the city council for his tremendous effort and service to the animals and the community. 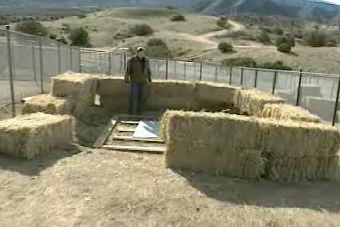 In a quest for low cost, efficient housing, Leo Grillo invents a revolutionary Straw Bale Dog House sometime in 1997. The house keeps the animals cool in the hot weather and warm in the cool weather. Leo has made a simple “how to” video and this design has become a prototype and used in shelters across this country and countries around the world. Accolades include those from Maneka Ghandi and the African Congress of Nations. The International Vet Tech Training Program was developed during 1998; a program in which veterinary technicians from all over the world come to D.E.L.T.A. Rescue on a J-1 visa and are taught “no-kill care-for-life” animal care. Veterinary techs from South Africa, New Zealand, Spain, Canada, India and Romania are a few of the countries animal care providers have come to us to train. In 1999 Leo Grillo/D.E.L.T.A. Rescue launches it’s “Spay LA 2000” program to coordinate and fund the spaying/neutering of the pets in Los Angeles. Concerned for animals the world over, in 2000 Leo gets word of a tragedy at a small no kill shelter in Vishakapatnam on the Bengal Coast of India and he raised donations to rebuild the animal shelter in India, now called the VSPCA. Being in the high desert area of southern California presents real fire danger to the 1500 animals residing at D.E.L.T.A. Rescue properties as well as the immeasurable amount of wildlife that inhabit the area. And so, in 2003 Leo has secured a D.E.L.T.A. 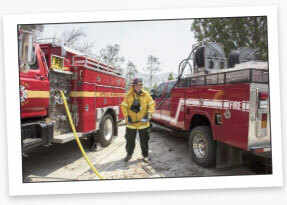 Rescue firefighting team with a trained emergency response team and fully equipped vehicles, pumps and equipment. D.E.L.T.A. Rescue has a helicopter pad for emergencies and a large reservoir for emergency water. In 2003 fire broke out in a nearby canyon and the D.E.L.T.A. rescue fire team aided the county firefighters and they were extremely grateful for the reservoir from which their helicopters continuously drew water. Always driven by a desire to maximize the care given to D.E.L.T.A. Rescue residents, in 2004 a Physical Therapy Unit is erected at the animal sanctuary. This unit can provide deep tissue ultrasound (pictured below), electro-stimulation therapy, treadmill, hydrotherapy and a variety of treatment modalities to treat all skeletal and muscular diseases and disorders. 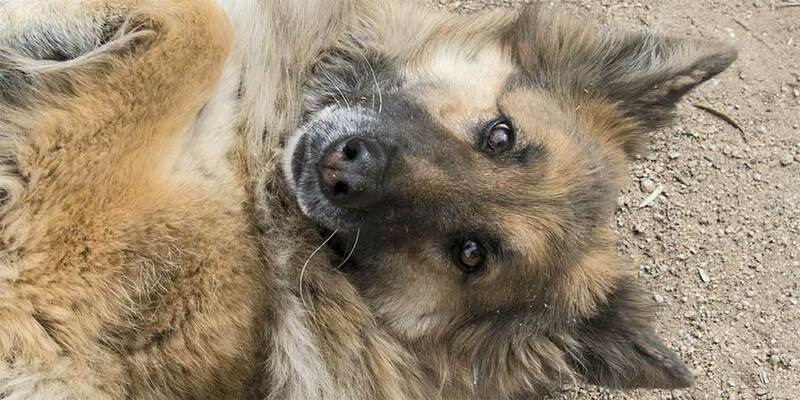 Once again being connected to animal causes worldwide, in 2005 Leo Grillo was apprised of a grave situation with Romania street dogs starving to death. He raised funds for a program which fed and medicated the street dogs on a daily basis until local shelters were coordinated, up and running. Back the in United States, Desert Management Group is a government department that oversees approximately 80 percent of the desert, or 25 million acres. This is land which is publicly owned and includes two national parks, one national preserve, six military bases, 72 wilderness areas, 14 state parks and extensive holdings of public lands managed by the Bureau of Land Management. 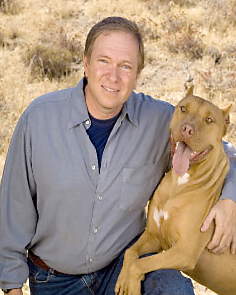 In 2005 when confronted with packs of feral dogs in various areas of the desert including military bases, Leo Grillo was called in to coordinate an effort to remove and re-home the dogs with special permission from the federal government and granted special security clearance from the military. Also in 2005 Hurricane Katrina hits the south and Leo immediately mobilized truckloads of dog and cat food. D.E.L.T.A. Rescue teamed up with “Feed the Children” through which our dog and cat food got distributed to people that needed to feed their pet-victims of the hurricane, but who could not secure food for their beloved companions. Continually striving for excellence and due to many dedicated supporters, D.E.L.T.A. Rescue purchased state of the art radiological, ultrasound and miscellaneous veterinary equipment which offers its residents the finest diagnostic equipment ultimately offering the highest standards of veterinary medical care available in 2006. For 5 years D.E.L.T.A. Rescue funded a cat/dog rescue in Kabul, Afghanistan and some of the dogs were air lifted to our animal sanctuary, and many to soldiers’ homes. The Rescuer is a documentary completed in 2010 which began as a 25-year chronicle of the activities of Leo Grillo. What begins as a straightforward account becomes a kind of cinema-driven self-analysis of a fascinating and determined personality. As Leo’s self-awareness blossoms he comes to understand for the first time the underlying reasons his life has moved in such an unusual, dramatic, and totally unexpected direction. After the Station Fire in 2009 Leo founded the official D.E.L.T.A. 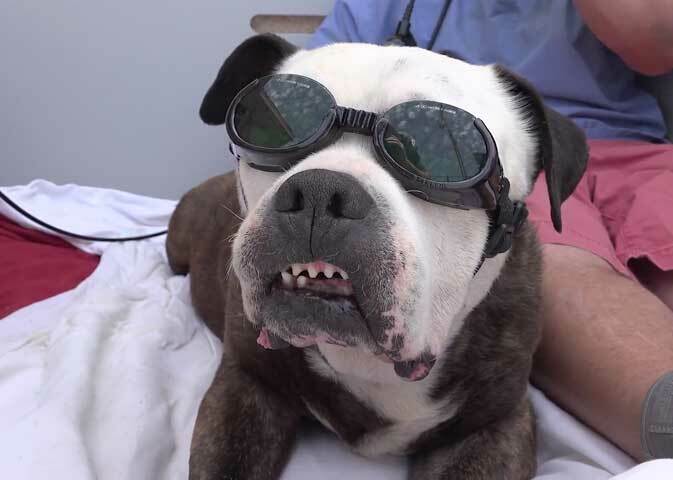 Rescue Fire Department to protect its animals and buildings from wildfire. Today the apparatus includes a Type 1 engine, a Type 3 engine, a Type 6 engine, and a prototype CODE !6 engine developed by Phos Chek for the sanctuary. Currently, Leo is developing a reality TV show based at the animal sanctuary.